Are you looking for Packers and Movers service in your city? Your search ends here at Shiftingsolutions.in – a trusted Directory of Packers and Movers in India. We are one of the most trusted and preferred online relocation and transportation portals where individuals, families, and businesses can find the service of credible Movers and Packers at affordable and genuine rates. We are committed to deliver quality services of the best and trusted moving companies in Indian cities and towns so that customers can see safe and hassle-free execution of entire shifting process. We ensure for affordability without sacrificing quality of packing and moving services for different relocating needs in Indian cities like Delhi, Mumbai, Bangalore, Hyderabad, Chennai, Pune, Mumbai, Gurgaon, Faridabad, Noida, Ghaziabad, Trivandrum, Ahmedabad, Surat, Kanpur, Lucknow, Chandigarh, Patna, Ranchi, and Bhopal. We understand that moving home or office from one place, city or state to another can be time-consuming and complicated task for you. Hence, we do business with only experienced, insured, licensed and trusted Packers and Movers companies in India so that we can deliver quality comprehensive shifting solutions at reasonable price. One of the best things about us is we keep your personal details and information safe and secure; and use them to process your request only. We also educate our customers about packing guide, moving tips, and online moving scams so that they can really have tension-free relocating experience and peace of mind. Hiring the right professional packers and movers is imperative in order to get moving without getting moving blues and stress. Internet is full of helpful resources. You can search online on the web and contact professional removal companies one by one to get assistance on your next move. Or you can use Shiftingsolutions.in to compare free relocation quotes and standard rates of pre-verified movers and packers near you to help yourself to reduce the time, cost and stress of shifting and relocation process. 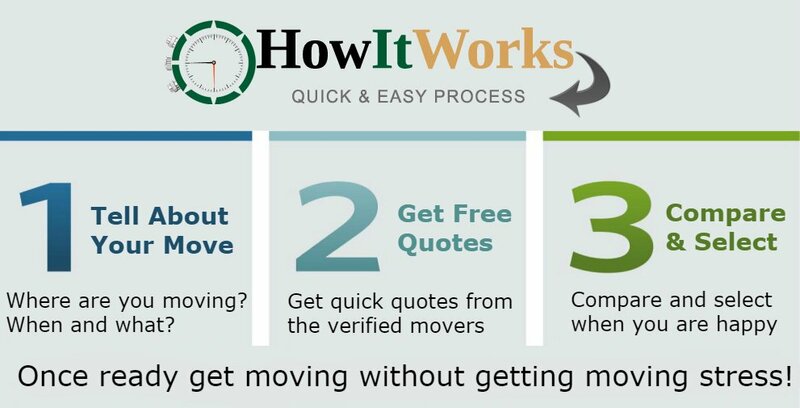 How Do We Verify Packers and Movers to Make Them Our Partners? We understand well that there are also several fraud moving companies who can cheat you and increase the stress level on your move. Hence, we conduct very tight screening to check and verify the credentials of different packers and movers companies in India so that we can provide you only legitimate moving companies at your door step. We make thorough review of each of our member moving companies before making partnership with them. Indian movers and packers companies who want to make association with us must meet our parameters so that we can ensure our customers for legitimate packing and moving service. Here is what we are looking into movers and packers companies. Packers and movers companies must be licensed and insured. They must have at least three years of experience in relocation industry of India. They must have physical addresses in that particular city. They must use premium-quality packing supplies and sturdy boxes. They must have their own goods carriers like trucks, tempos, and vehicles. Car carrier companies must have their own car carriers and trailers for safe transportation. They must have professionally trained staff members including managers and drivers. There can be different types of relocation needs where you will need to hire service of professional Packers and Movers. Here we briefing about different types of moving and shifting needs and information about the best matching movers and packers available at this portal. Residential relocation is a generic term given to moving home one place to another. Different terms are used to define the process of residential relocation. Household shifting, home shifting, home relocation and house moving are some other terms which are often used to describe the process of residential shifting. The process of home shifting or residential relocation is not an easy task. There are lots of difficulties, hassles and issues involved in the process which are not liked by anyone. Whether it is a local household shifting within a city or a residential shifting from one city to another, the process can be complicated and time-consuming one. To get rid of residential relocation hassles and difficulties it is advisable that you should plan your move with one of the experienced and trusted movers and packers in your city. If you schedule your home relocation with a right moving company then you will have many benefits. You will save your time, energy and money as well. It is common myth about hiring the service of packers and movers that it can be very expensive affair. Of course you will have to pay for service you will hire for shifting your home belonging and possessions. But if you think deeply about hiring professional packing and moving service then you will realize that it is not a wrong decision. You will actually save money because you will have damage-free transportation of your goods. On DIY moving there will be risk of damages of goods in transit. Professional movers and packers companies also cover the loss if goods are damaged unfortunately in transit because they also offer goods insurance service along with their different relocation services such as packing service, loading & unloading service, transportation service, and unpacking service. Another benefit you will get with hiring service of residential packers and movers is you will get full assistance in the whole episode of shifting process. Professional movers will plan your move with perfection after conducing pre-move survey and in coordination with you. Their packing crew will pack your household items and home belongings properly using superior quality packing supplies and sturdy boxes. Expert and friendly laborers will load your belongings including home furniture and appliances onto the moving truck. Your possessions will be transferred to your new destination timely and safely. Hence, you see that you will have really tension-free moving experience if you hire and plan your move with one of the best and experienced movers and packers in your city. If you are looking for the best packers and movers in your city for your residential move then we can significantly help you pick the best available one because we are partnered with some of the best residential moving companies in different cities and towns of India. Local household shifting within a city. Moving home from one city to another. Commercial shifting or relocation can be of various types such as office shifting, business relocation, industrial goods shifting, factory shifting, shop shifting, and corporate relocation. These all relocation types are considered to be even tougher and more difficult than of the residential relocation or home shifting. It requires well planning and time to get successful execution of entire relocating process. There are lots of issues and difficulties involved with the process of office shifting and commercial relocation which can be resolved only by professional packers and movers companies who are specialized in these types of relocation circumstances. In an office shifting or corporate relocation there are lots of specific items such as files, documents, furniture, desks, computers, printers and other electronic items which can be packed and moved safely by professional moving companies only. If you plan your office move with one of our member office movers then you will get tension-free relocation experience as well as peace of mind. To make your office relocation hassle-free we have made association with some of the best office movers and packers in different Indian cities and towns so that you can hire the best service provider for your next move. Industrial goods shifting can be more challenging and difficult for you but not for our member commercial movers and packers. Our associates are capable to provide you significant help on your industrial goods shifting, factory shifting or heavy machinery shifting in any city of India. They can pack your industrial goods safely and properly with utmost care; and then transfer them to your next destination door step safely and timely. One of the best things about our commercial movers and packers is they will save you time reducing the disturbance in your business. So, schedule your commercial shifting or office relocation with one of our member moving companies to get peace of mind and hassle-free experience. Local office shifting within a city. Office moving from one city to another. Employee relocation from one city to another. Corporate relocation from one city to another. Industrial goods shifting within a city or from one city to another. Factory shifting within a city or from one city to another. Shop shifting within or from a city. Car transportation can be another issue on a residential relocation. Often it is seen that many people hire a specific car carrier and transportation company to transport their car from one city to another on their home relocation. It is ok but it will be even more ok if you hire one of the best packers and movers in city that can also transport your car so that you cannot have to hire another car carrier company to transport your car. Member packers and movers companies at Shiftingsolutions.in are also offering car carrier services and bike shipping services as well to help those customers who need to transport their car or bike on their residential move. If you are looking for car carrier service on your move then we can be the best choice for you because our member movers and packers companies also provide affordable yet quality car and bike transportation services. With us you don’t need to hire a separate car carrier company. Your car or bike will be shipped using especially designed car carriers or trailers. Get free quotes today for car carrier and bike transportation service in any city of India. Our member packers and movers companies provide a range of specific, on demand and relocation allied services to our customers. Pet moving, plants moving, warehousing & storage, international relocation, furniture moving, fragile items packing & moving, bike shipping, and goods insurance are some other types of specific relocation needs where our member movers and packers companies help significantly. Whether you are looking for pet moving service or plants moving services in any city of India we can significantly help you pick the best matching service provider your next move. On each and every type of relocating needs our member moving companies will provide you legitimate service to make you tension-free and give you piece of mind. If you are looking for service for any specific type of moving then get in touch with us. Get free quotes with us to compare and save money. We ensure that our associated moving agencies will make the things difference giving you peace of mind. Apart from making available services of professional packers and movers in Indian cities for different relocating needs, we also educate our customers. We provide very helpful moving articles at our Blog Section and Moving Tips Section covering various moving tips, packing guide, pet moving tips, DIY moving tips, tips on moving with kids, avoiding moving mistakes, moving checklists, money saving tips, and lots more. If you are looking for helpful resources and information regarding relocation then you are request to check out our updated blog. We have posted lots of informative articles on moving home and office which will help you achieve a successful move. For example, if you want to move on yourself then our DIY Moving Tips article will very helpful for you. If you want to pack your household items on your own then we have several articles covering tips on packing various types of items including fragile items of your household. Here we are going to provide you an expert guideline for estimating Packers and Movers charges and rates for different relocating and moving needs. You will be happy to know how to estimate packers and movers charges & rates. After successfully making Lakhs of different types of shifting in the past few years, we have garnered different customers’ experiences, and quality of moving companies’ works at very minute level. We can significantly tell you methods and factors on which professional packers and movers calculate shifting cost, rates and charges. There are 10 major factors which define the overall relocation cost. They are 1. Goods & Belongings, 2. Distance between Destination A & Destination B, 3. Packing of Items, 4. Manpower Required in Loading & Unloading, 5. Time Required in Shifting Process, 6. Insurance Required, 7. Additional Services, 8. Applicable Taxes, such as service tax, toll tax & state tax, 9. Vehicle Type Used for Transportation of Goods, 10. Warehousing & Storage, 11. Difficulties & Circumstance of Relocation, 12. Tips Given to Crew Members. Apart from these there can be several other factors on which the price or cost of shifting home or office can vary. The shifting charges may also vary on company to company because different companies have different parameters to calculate cost and charges for their services. The main cost heads of movers and packers in India include 1. Cost of Packing Materials Required, 2. Packing Charges by Experts, 3. Handling Charges including Loading & Unloading of Belongings, 4. Insurance Charges, 5. Transportation Charges, 6. Cost of Value Added Services, and 7. Applicable Taxes. The volume of goods and size of move also mater lots in calculating packers and movers charges in India. The charges of a local shifting within a city may start at Rs 2,000 to Rs 5,000 only if you have to move few household items only. Generally professional moving companies charges Rs 30 to Rs 50 per kilometer as transportation charge and Rs 2,000 to Rs 3,000 for handling charges such as packing, loading and unloading. To get accurate and precise price estimate for a move it is advisable that you should collect free estimations from different potential movers and packers companies in your city. Moving companies can provide you in-home precise estimates after conducing pre-move survey and analyzing the circumstance and the volume of goods.